Bloodborne is a new game by Souls series developer From Software that is coming exclusively to PlayStation 4 next year, though little information is known about it. The game’s director, Hidetaka Miyazaki, spoke with Famitsu about what sets this game apart from the Souls series. It’s worth noting that Hidetaka Miyazaki created the Souls series, though he didn’t direct Dark Souls II so he could focus on Bloodborne for the PlayStation 4. This entry was posted in All, Featured, News and tagged Bloodborne, From Software on June 12, 2014 by Mike Guarino. Is This Leaked Footage From Demon's Souls 2? Some very sweet (if true) rumors have been making the rounds about developer From Software possibly announcing a new game that looks a *heck* of a lot like their awesome Souls games at this year’s E3. From Software hasn’t made any announcements yet, but E3 looks like it will be the perfect place to make a huge announcement like this. If this is Demon’s Souls II then that would mean that it will more than likely be a PlayStation 4 exclusive. 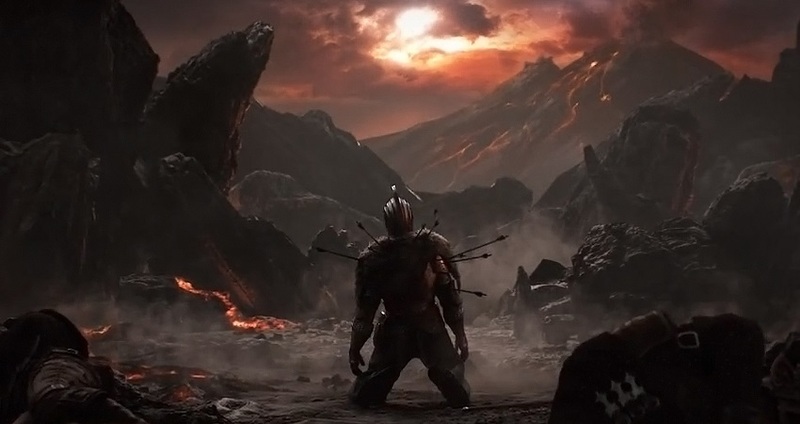 The Souls series is currently the best-running gaming franchise going right now, in my humble opinion, so if this does end up being legit then I am frickin’ ecstatic. Dark Souls II came out earlier this year and From Software delivered yet another awesomely-engrossing game, and I’m perfectly ready to hear that more of it is on the horizon. This entry was posted in All, Featured, PlayStation 4 and tagged Demon's Souls II, From Software, PlayStation 4, Project Beast on May 30, 2014 by Mike Guarino. Do you ever find yourself feeling a bit bored with modern video games? Perhaps you’re finding that there really isn’t all that much of a challenge being offered and that you can make it through just about any game with little to no pain? Well, if you don’t know by now, then let me inform you that developer From Software’s Souls series is for you. The series takes the tried & true role-playing hack and slash formula, and gives it a modern-day sheen with a difficulty that makes most games today seem like a piece of cake. Here we have Dark Souls II and, with no surprise, it is just as good as its excellent predecessors. When you first dive into the world of Dark Souls II, you’re in an unknown place and you’re only real goal is to explore. You enter a house filled with creepy old ladies that tell you all about how important souls are, and scare the crap out of you by telling you that you will die again and again and again. This is where you are given the ability to choose your class and perks, ranging from the usual classes that will give you varying degrees of strength, magic, endurance, speed and so on. The world in Dark Souls II is known as Drangleic, which is the home of a kingdom with a truly dark background. As you move on it isn’t long until you come across the first town of Drangleic, Majula, which serves as the games hub world. It’s here that you will use the souls found by enemies to upgrade your weapons, armor and stats, purchase new items and equipment and much more. The world of Dark Souls II is presented in a similarly open-world manner like the original Dark Souls, so it’s nice to have a place to come back to to stock up on supplies and beef up your character. This reminded me a bit of the hub world that was in Demon’s Souls, which is a very good thing, in my book. Like previous Souls games, the main focus is on exploration and combat. You have a vague idea of the story and what you need to do to complete the game, but the majority of your time will be spent cautiously treading through new areas and taking on unthinkable amounts of deadly monsters. 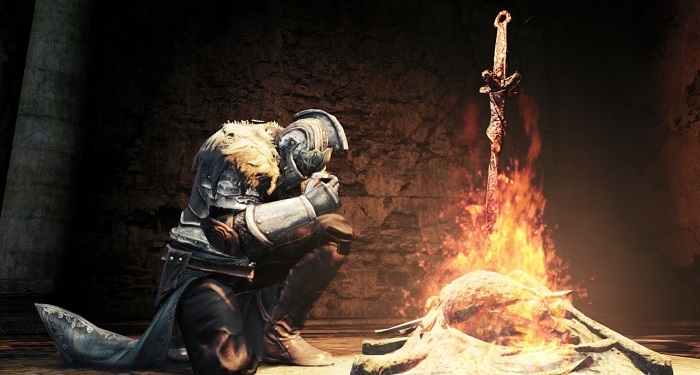 While there may be some that would like a bit more story and cutscenes, I think that this is one of the main things that makes the Souls series stand out. In a world where games are becoming more and more like movies and more emphasis is being put on production values and big sequences, Dark Souls II constantly has you immersed in its world thanks to its constant gameplay mode that doesn’t even allow you to pause. As you make your way through the game you come across new areas, and when you get to a new area it is your mission to get to the end of it an face the boss (or bosses) that reside at the end. Some areas will have environmental traps or dangers like lava, arrows, fake treasure chests, hidden pits and more. The enemies are all truly viscous, as even the smallest of foes can kill you quickly if you’re not careful. The bosses of the game, (which there are more of than any other Souls game) will also test your sanity and make you utilize trial & error before you finally vanquish your foe. Thus, every aspect of the Dark Souls II world is created to make your life living nightmare. The beauty of Dark Souls II is that you have little to no idea about where to go next. You are simply thrown into a terrifying world with a very vague idea of what to do, but after that you are on your own. This makes the tensions and sense of awe that much more tangible as you progress through the game, because you truly never know what could be lurking around the corner. It’s up to you to dive in head first and take on all of the game’s trials in order to grow stronger. This is done largely by the collection of souls, which are acquired from fallen enemies, bosses and treasure chests. You want to make sure that you have a solid idea about what kind of character you want to build, as souls are precious and, if used incorrectly, could get you in a lot of trouble. 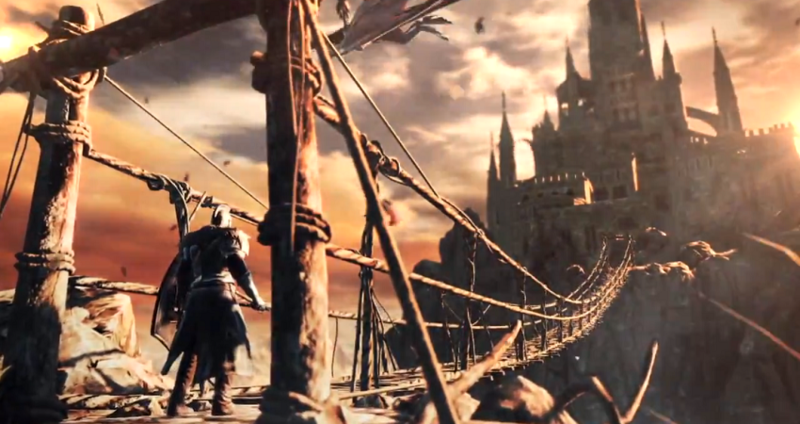 The mechanics of Dark Souls II remains similar to that of previous games in the series. You have a health meter and a stamina meter, and both can be improved by equipment or by leveling up with souls. Stamina is very important because it dictates how many times you can attack before your character is winded and needs to recharge. The total understanding of how much stamina your attacks take is vital to know, because if you take one swing too many then you leave yourself open for what very well could be a quick death. This isn’t a game that you can get through by just charging through, and if you attempt to play it that way it will only bring you a lot of frustration and a lot of death. There are a few tweaks that have been made to the formula, and they are all to make the game even harder than previous installments. First up is the fact that there are limited enemy respawns at each bonfire. This means that when you kill the enemies in the area a certain amount of times they will no longer respawn. You may think this is a good thing, but in reality this now means that you can’t stay in one spot and farm souls infinitely any more. Another major tweak is that you can be invaded by other players at any time, regardless of your characters human or hollowed state. These things add enough of a wrench into the gameplay to make the experience feel even more brutal and unforgiving than ever before. Being invaded by other players in Dark Souls II continues to be as much of a gut-wrenching experience as it was previously. As you wander through certain locales and see the message pop up at the bottom of you screen, it never failed to make me stop in my tracks and become legitimately scared. Not only does this game allow invasions happen at any time, but it also adds a twist to the circumstances in which said invasions take place. For example: if you utilize a certain item in the game, you summon an enemy player into your world where your world’s monsters will focus there attacks on them. When this happens, it’s safe to say that you feel utterly helpless and wish all kinds of bodily harm on the sick SOB that did this to you. Dark Souls II is phenomenal across the board. Like its predecessors, it consistently enthralls you in its world and constantly asks you to overcome insurmountable odds. The world of Drangleic is filled to the brim with personality and secrets, which all beg you to come and discover them in a quest that can easily last you well over 60 hours. It may not introduce anything strikingly different compared to previous games in the series, but when the execution of ever facet of the game is done so well I can’t fault it. The Souls series continues to be a breath of fresh air in an industry that is increasingly becoming one about holding your hand and flashing pretty colors in front of you, and Dark Souls II is yet another game that kicks that notion (and you) in the balls. This entry was posted in All, Featured, PlayStation 3, Reviews and tagged Dark Souls II, From Software, Playstation 3 on May 8, 2014 by Mike Guarino. 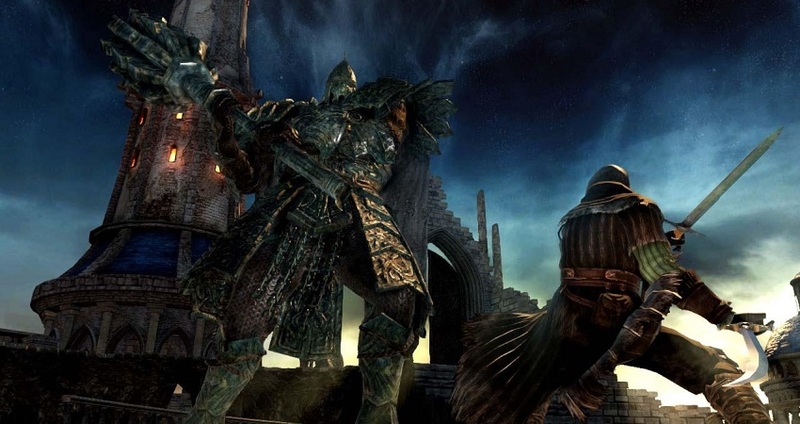 Dark Souls developer From Software has been bought out by the Japanese publisher Kadokawa, Siliconera reports. It has been revealed that Kadokawa has bought 80% of the studio’s stock, though the amount they are paying is currently unknown. The deal will be finalized on May 21st. From Software has been around since 1986, but they rose to true prominence recently with their fantastic Souls series. It all began with 2009‘s Demon’s Souls, which was followed by 2011‘s Dark Souls and 2014‘s Dark Souls II. Naotoshi Zin, who is the boss of From Software, believes that both companies will benefit from this deal and it will result in more in-depth games. This entry was posted in All, Featured, News and tagged Dark Souls, From Software, Kadokawa on April 28, 2014 by Mike Guarino. This entry was posted in Featured, News and tagged Dark Souls II, From Software, Takeshi Miyazoe on January 29, 2014 by Mike Guarino.